The quotes of Tesla’s residential (rooftop) PV systems will be slashed by 15-25% effectively on 15 November, according to a statement issued by Sanjay Shah, the company’s senior VP of energy operations. Although the actual savings for consumers will vary depending on the scale of the system and the location of the residence, potential customers can expect to spend US$3,000-5,000 less on the entire system installation. Tesla hopes that the price cutting, together with the lowering of sales and marketing costs, will increase the sales volume and the revenue of the company’s solar energy unit. Tesla had expected its struggling solar energy unit to expand and improve in terms of profitability following the company’s US$2.6 billion acquisition of SolarCity in 2016. Instead, the unit continues to operate at a loss. Subsequently, Tesla has downsized the unit and limited its collaboration with other distributors. In 2017, Tesla stopped the door-to-door sales of its rooftop systems. A year later, Tesla also suddenly formed and then ended its retail partnership with the US-based Home Depot. The termination of the deal was announced in the middle of 2018, just a few months after it was arranged with much excitement. Home Depot, which sells home improvement supplies via its big-box stores, will no longer promote Tesla solar panels at its 800 locations starting 2019. Currently, transactions conducted in Home Depot account for around 50% of the total sales made by Tesla’s solar energy unit. Thus, the collaboration has raised the visibility of the Tesla brand in the residential solar market. 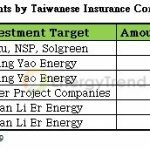 However, the related distribution and marketing costs have also increased the cost per PV system by roughly US$7,000. Tesla has no choice but to change its approach. Rather than continuing with this partnership, Tesla is going to sell its solar panels at a much lower price point in order to turn around its poor installation record. 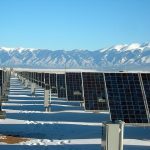 The company’s total system installations for the third quarter of 2018 came to just 93MW, showing a massive decline from its peak quarterly installations of 253MW that had occurred prior to the takeover of SolarCity. Shah stated that from now on Tesla will sell products directly through the company’s own website and retail stores, which number around 100. By avoiding the more complex and costly distribution channels, the company’s solar energy unit will be able to raise its operational efficiency and make further reductions in system prices. Shah pointed out that this new strategy has already led to a 50% decrease in sales and marketing costs. Shah moreover stated that pricing is still a major factor in influencing purchasing decisions of consumers. Hence, people will automatically visit the company’s stores and website when they see low prices for practical solar technologies. At the same time, Tesla does not have to deploy a lot of resources for finding potential customers. Shah added that this round of price cut has made Tesla “highly competitive,” and the company ultimately wants to become best solar provider by price in the US. The rising trends of carbon reduction and environmental protection have spurred the deployment of rooftop PV systems across the US. A report from Bloomberg Energy Finance forecasts that around 5% of the total electricity generation in the US will come from rooftop PV systems in 2040. 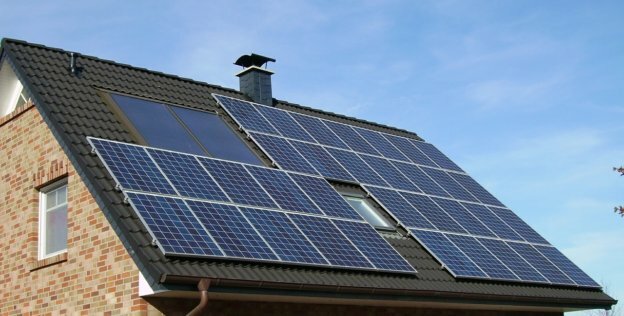 At present, the markets for residential PV systems and energy storage systems are filled with participants, many of which are recently established. They generally have a bullish outlook on the demand for residential PV systems that are integrated with smart technologies. And because the competition is fierce in these markets, entrants will have to rack their brains to develop low-price as well as innovative solutions to attract customers.